Add a little whimsy to your Easter with these decorative eggs! 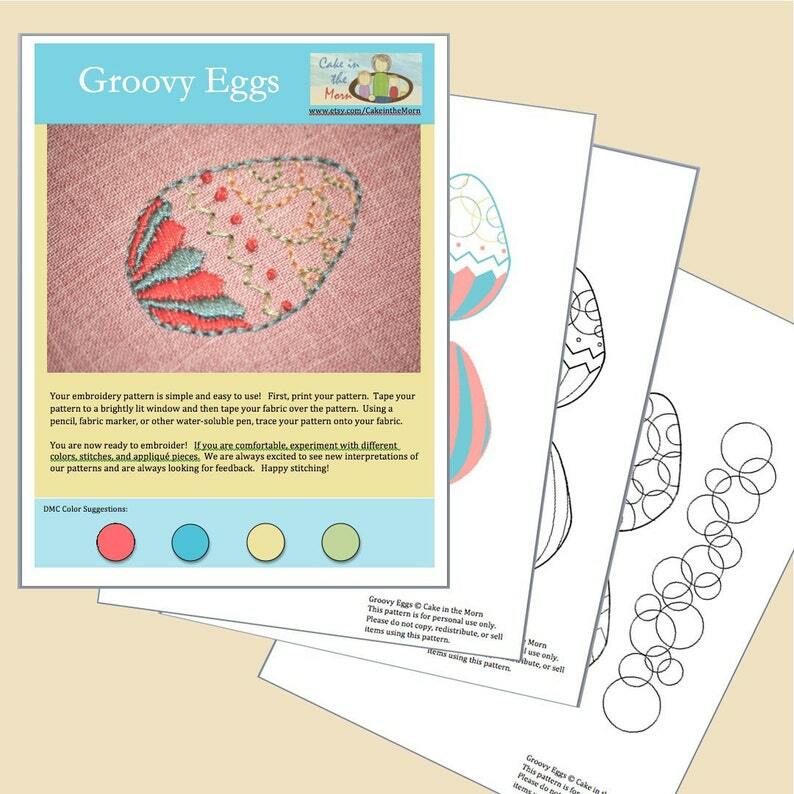 The Groovy Eggs Pattern is a 4 page PDF file that contains a cover page with transfer tips and DMC color suggestions, a colored eggs page with color suggestions, the full page pattern with 4 decorative eggs and a border, and a reversed full sized pattern. Your pattern will be available for immediate download upon payment. All patterns and images are original designs by Cake in the Morn and are copyrighted. If you would like to use your pattern for anything other than personal use, please contact us first.